This is a slightly belated Silver Screen Sunday but I didn't want to miss it two weeks in a row! 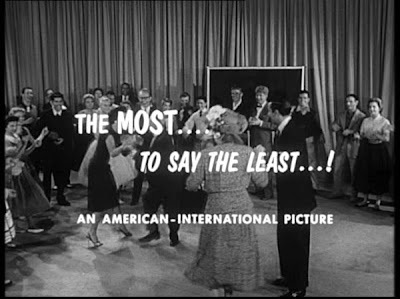 I've had a request, which I was going to do this week, but my technical problems have thrown my schedule off course so I've fallen back on a film that I had already screen-capped. So, without further ado I bring you Shake, Rattle & Rock. Directed by Edward L. Cahn, in 1956, it may be thin on plot but a film like this is really only good to watch for the music, clothes and dancing. A group of concerned adults try to ban rock and roll music in their town because they think that the music promotes juvenile delinquency. It's now up to a disc jockey and a hipster to defend the music in a televised trial. 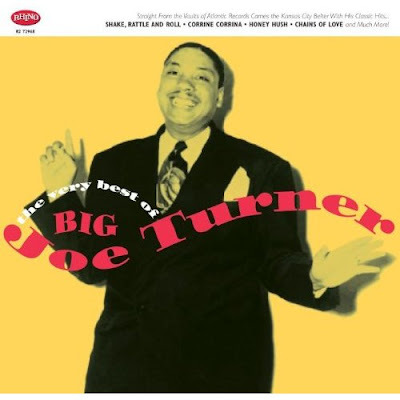 Boasting some truly great rock 'n' roll artists, such as Fats Domino (left, with band) and Big Joe Turner (right, with band), the soundtrack showcases all that was fantastic about music of this era. This is a rather poor quality video but it's difficult to find anything of this film. This one shows Annita Ray singing a cute little song and some kids dancing, too. Lisa Gaye has some very cute outfits in this film. She also gives me a serious case of hair envy. This swimsuit from reVamp vintage could definitely function as separates, too. And bottoms are just about as short as the shorts Lisa wears! If they're too short for you Tara Starlet has some very cute sailor shorts, which I've heard nothing but great things about. Lisa also has this adorable suspender pencil skirt which I could not get a decent shot of. 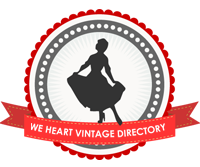 Vivien of Holloway has some extremely adorable skirts, which are very similar. Well, cats and kittens, I hope you enjoyed this rather hastily prepared edition of Silver Screen Sunday! 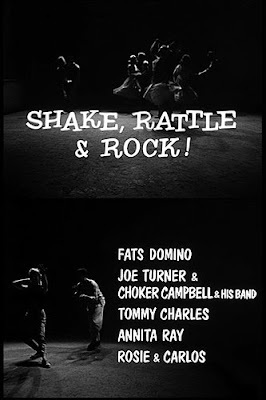 I have never seen this film but it sounds fun, i love Fats Domino! That reVamp play suit is fantastic! I also love that the kids in the clip are doing Lindy Hop to rock'n'roll music, it must have been just on the cusp of switching from lindy to rock'n'roll in the early 50's. Enken: Isn't it just? Yeah, I thought that was cool, too. I love how teenagers dressed in the 50s! :) When I was younger, I always wanted to wear poofy vintage dresses to school dances and whatnot. I wish people still dressed like that! I just wanted to stop by and say merry Christmas - I hope you have a wonderful day! Miss Kellie - I know what you mean. Linda - I'm SO glad you enjoyed this. Thanks for the comment.